I recently spent a weekend in Darwin — now, if you ever find yourself looking to escape Melbourne’s winter, let me tell you, Darwin does a bang up job… from 10° to 30° in one ✈️ — but that’s an aside, I was in Darwin to attend a mate’s wedding, and having never been to the Northern Territory before, I decided to make the most of the day after the wedding with a trip out to Litchfield National Park. 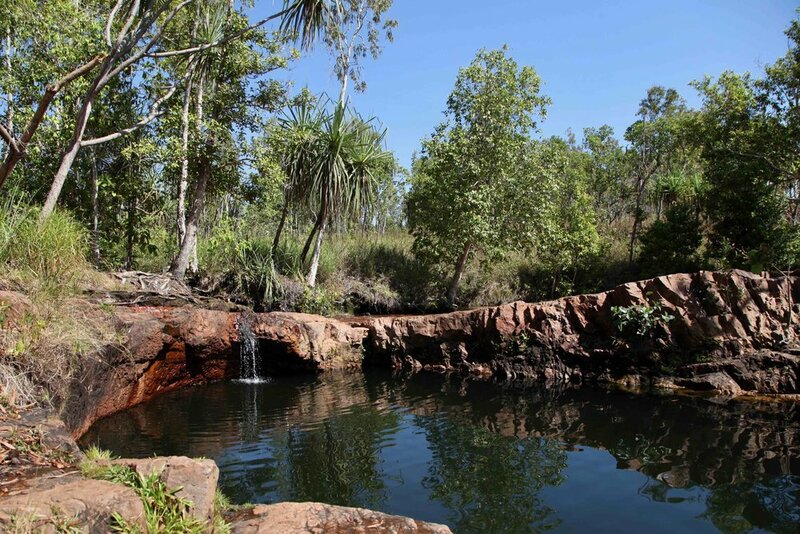 At only an hour and a half out of Darwin — and with its stunning waterfalls, swimming holes, hiking trails, and unusual termite mounds — Litchfield National Park is among the most popular day trips for visitors to the area. 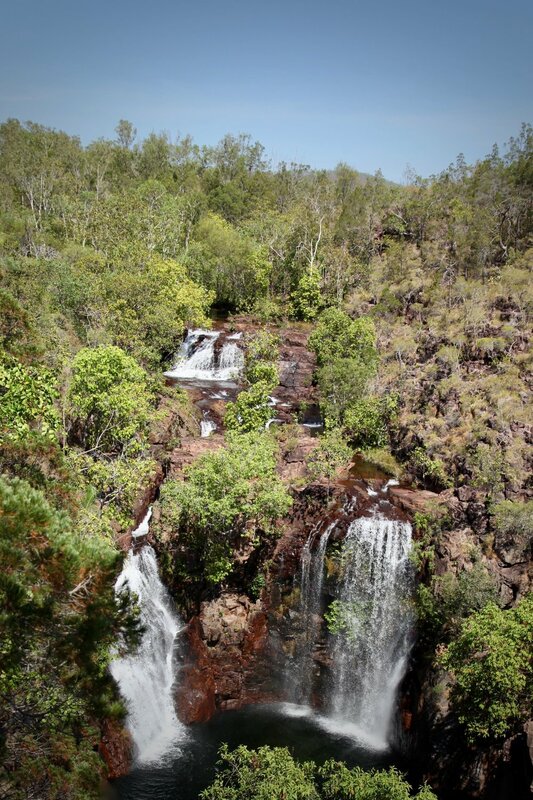 Florence Falls in Litchfield National Park, Northern Territory. 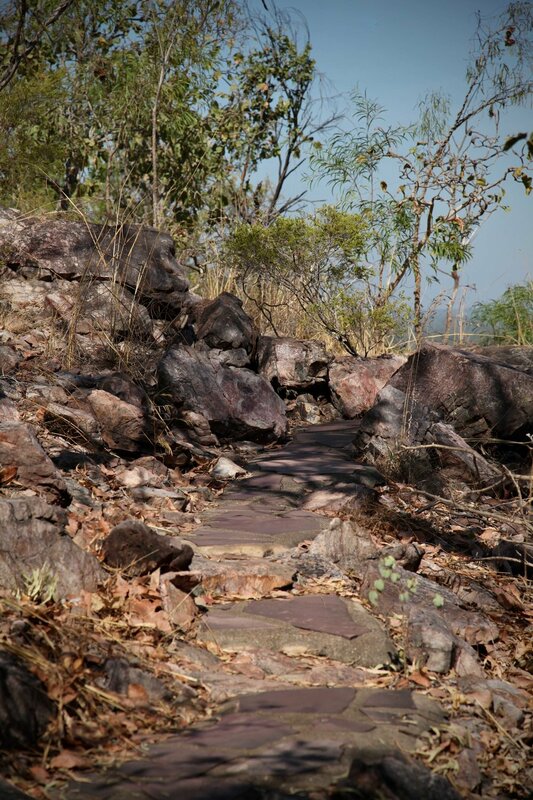 If you’re keen to visit Litchfield National Park, it’s about 120km out of Darwin on the Stuart Highway. But the day after a wedding sure isn’t the time to get behind the wheel, so for my trip, I joined a tour. There’s a few companies that do day tours of Litchfield National Park out of Darwin but after a bit of Googling, I decided to book with Offroad Dreaming, and I’m really glad I did. Offroad Dreaming is a family owned business running ecologically sustainable small group tours. No big coaches here 🙌🏻 …which also means no big groups full of wayward stragglers at each stop along way. Small groups are the way to go, for sure. Another reason I’m glad I travelled with Offroad Dreaming is that when I mentioned at booking that I’m vegan, they got in touch to let me no that was no trouble, which I really appreciated. I always mention I don’t eat meat or dairy when I book tours and activities that include lunch and snacks so that food isn’t wasted on me, but I also always offer to bring my own food because I understand this can be an easier option (especially when you book at the last minute like I did!). The tour itself was fantastic, and this was in no small part thanks to a great guide. Our tour guide was Adam, who was knowledgeable and friendly… he was full of great stories about all the places we visited, and had an impressive knack for remembering the names of all of us on the mini-bus. We started the day with hotel pick-ups in Darwin before driving the hour and a half out to the national park. After a quick break for coffee, our first stop of the day was the termite mounds. I wasn’t sure what to make of it when I heard we were going to see termite mounds, but these ones are really something. Look at the size of these termite mounds in Litchfield National Park! That’s me ⬆ …for perspective on the size of the termite mound. 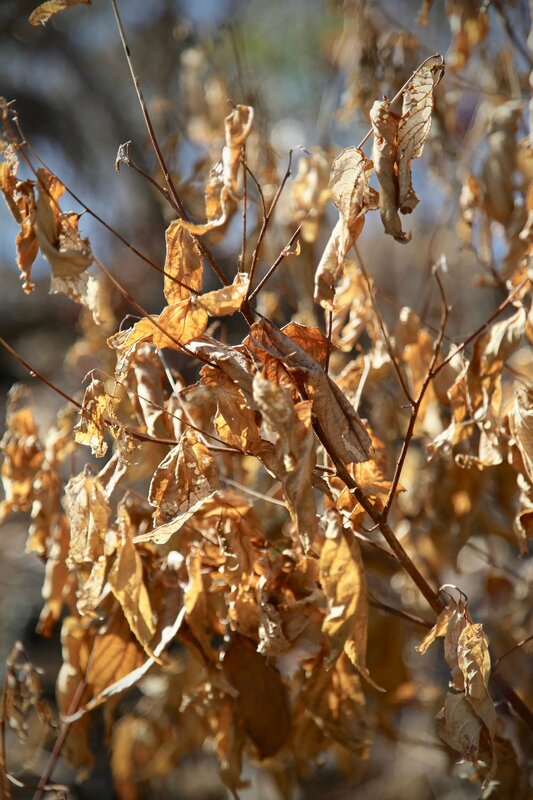 The tourism sign said, “Though termites are tiny individually, together they leave bold and lasting impression on the surrounding landscape.” Ah, don’t we all. Another kind of termite mound in Litchfield National Park: the mounds of the magnetic termite, found nowhere else on earth, align on a north-south axis. Crocodile Safety in Litchfield National Park, Northern Territory. But you know what has an even lower risk of crocs? Hiking. While most of the rest of the bus stripped off and jumped into the Wangi Plunge Pool, I grabbed by camera and water bottle and made my way around the 1.7km Wangi Loop Walk. The trail ascends and heads across the plateau behind the falls, before dropping you back down to a spot very near where you begun alongside the plunge pool. 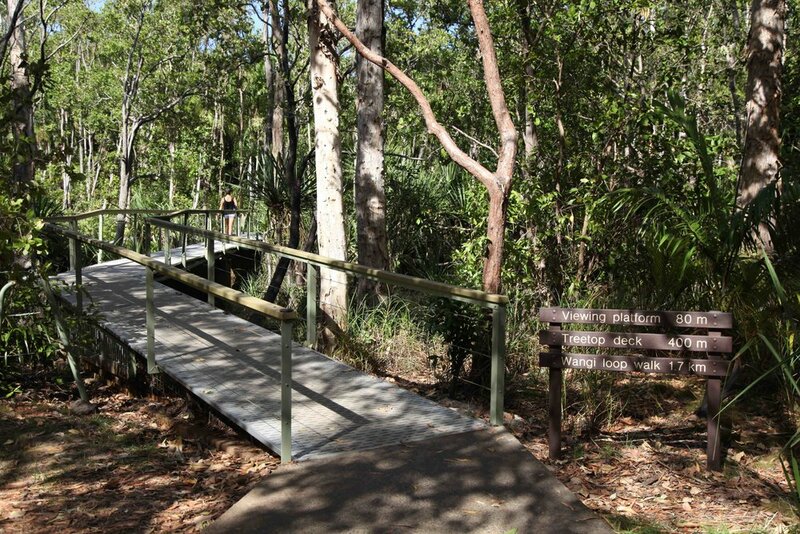 Wangi loop walk is a 1.7km walk in Litchfield National Park. My eco bottle from The Seek Society got its first outing in Litchfield National Park. And boy was I stoked to have cold water after the sweaty hike up to the plateau above the Wangi Falls plunge pool. 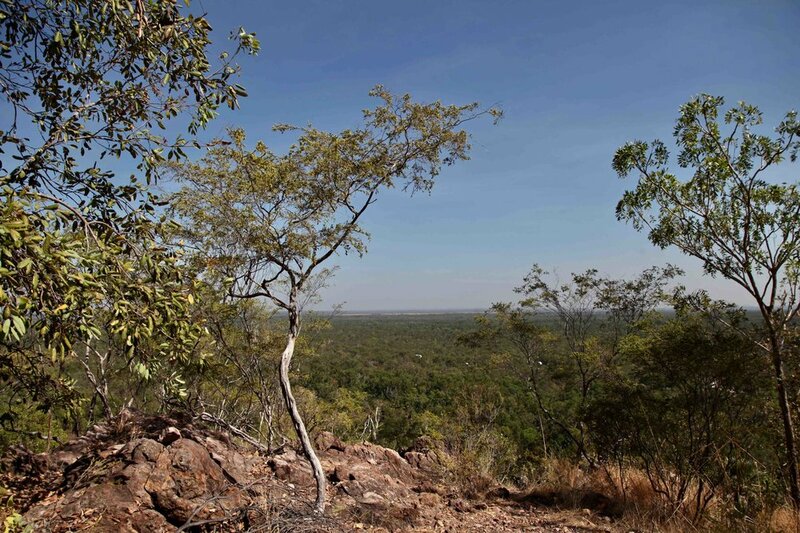 The view across Litchfield National Park from the Wangi loop track. After checking out the falls we meandered along the Shady Creek Walk before stopping into the very popular Buley Rockhole. Buley Rockhole in Litchfield National Park. By this time it was well into the afternoon and we’d already packed a lot in, but we weren’t done just yet. We ended our day in a boat on the Adelaide River with bushman Pat who knows a thing or two about the crocodiles that call the river home. Ending the day on the river with Pat and the crocs was an unforgettable experience and a unique opportunity to get up close to these incredible creatures. Sunset on the Adelaide River in the Northern Territory. Crocodile on the Adelaide River in the Northern Territory. Crocodile on the Adelaide River in the Northern Territory — this was one of the small ones. 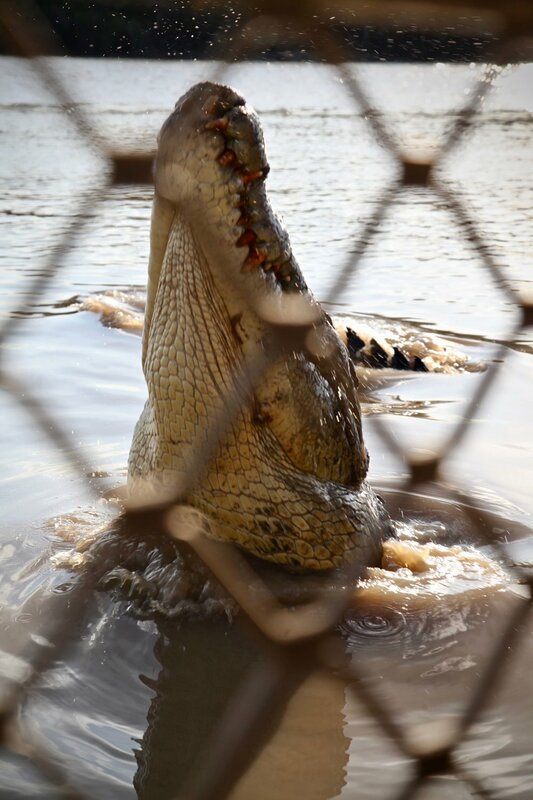 It’s a big one — croc on the Adelaide River. There he is — crocodiles in the Adelaide River. Golden hour light makes everything look magic, even the crocs. Sun setting over the Adelaide River in the Northern Territory. The Litchfield National Park day tour with Offroad Dreaming somehow manages to pack it all in without feeling too rushed. Maybe that’s the virtue of doing the trip as part of a small group. It’s the kind of tour where you can see it all and do as much or as little as you fancy: if you’re into swimming there’s plenty of opportunity for that, or if you’re like me and prefer to take a hike or two, you can go off and do that instead. Being on the Adelaide River as the sunset over the NT was the perfect way to end the day (even if we were surrounded by crocodiles as we floated along the waterway in our little boat). So the verdict? 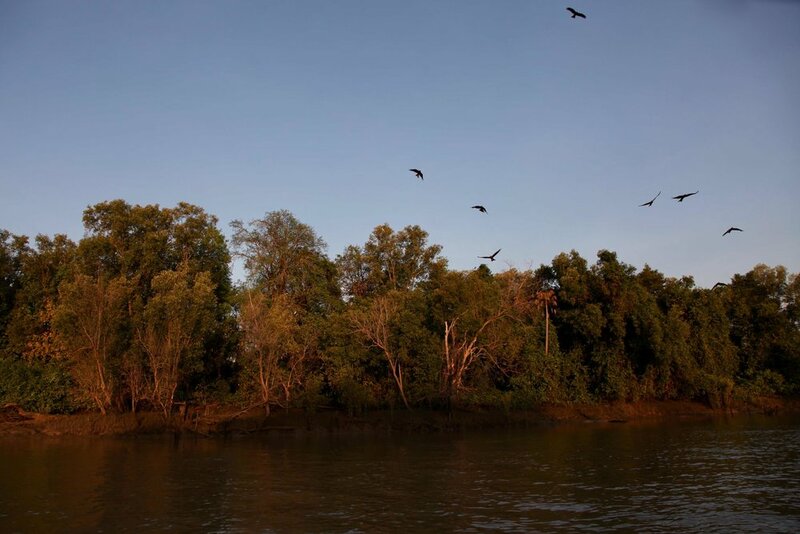 A day trip to Litchfield National Park is a fantastic way to make the most of your visit to Darwin and see a little bit more of the Northern Territory. Sunset in the Northern Territory.